2. Do you have any of these challenges? Until You Feel A Lot Better Than You Feel Right Now, You’ll Never Know How Unhealthy You’ve Become…And How Much Healthier You Can Be! - 2. Do you have any of these challenges? - Until You Feel A Lot Better Than You Feel Right Now, You’ll Never Know How Unhealthy You’ve Become…And How Much Healthier You Can Be! What is the Wellness Blueprint all about? This is one of the most common questions people ask me. 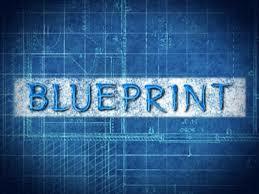 Simply put, the blueprint is about once and for all transforming your life. But what does it mean to transform your life? Understanding what transformation is can be a stretch because so few people have actually experienced their lives opening and changing in a thousand ways at once…only to continue to open and expand into increasingly better health, into feeling better than ever, feeling more connected, having greater clarity, being more emotionally available, understanding, compassionate, joyful and so forth. Because so few people genuinely experience this kind of life transformation, there’s not a lot of context for it in the modern world. Transformation isn’t subtle. It’s waking up and looking out of different eyes upon a different world. Everything is different, inside and out. It’s opening up to radically different states of awareness and being. Transformation naturally involves all aspects of your life: body, mind and spirit. To deeply change your life, you can’t leave anything out. The blueprint addresses all the aspects of your being in a unique and revolutionary way to bring lasting, profound transformation to your life. Here’s how it typically works: when we decide that we need to make some changes in life, we almost always begin by focusing on our physical health. We take supplements, cut some things our of our diet and start exercising. And we look for physical results: we want to see a different reflection in the mirror, we want to see a different number on the scale. Good things happen for a while, but more commonly than not, we wind up back where we started in less time than we’d like to admit—only a little more frustrated and a little more defeated than before. Unfortunately, this is the rule, not the exception. Why? The answers may surprise you, and it’s not because of a lack of willpower. It’s because we keep doing the things that don’t work and not doing the things that do. The fact that the vast majority of people who attempt to lose weight end up gaining it all back (and more) is all the proof we need that what we’re doing isn’t working. The fact that the incidence rates of almost every disease continues to increase every year is all the proof we need that what we’re doing isn’t working. To bring about lasting transformation in our lives, we have to open ourselves to completely different ideas or we’ll just continue to experience the same old, same old, and who wants to do that? The solutions to so many of our health problems already exist, and that’s exactly what the blueprint is all about. Deeply transforming our lives takes a lot more than just making a few tweaks on the physical plane. Life is an enormously complicated phenomenon, and we’re so much more than just our bodies. We all have thoughts, feelings and emotions, and they exert a powerful influence over how our bodies function. For any degree of lasting personal transformation to take place, we have to optimize every plane of our existence: physical, mental, emotional and spiritual. Until we do, we remain pretty much stuck in the same old patterns, and the years turn into decades until it’s too late to turn things around. Radically transforming your life isn’t necessarily easy, but it’s only as hard as you make it out to be. Until you know how different life can be, it’s easy to imagine you’re doing just fine and ignore all the warning signs that’ve been trying to get your attention for years. It’s extraordinary to sleep well, wake up filled with energy, know exactly what to and what not to eat, to go through your day with a sense of meaning, to have a clear mind and a body that feels alive and vital, to be fulfilled by the things you do and not be worried about developing this disease or that. There are no words to describe how magnificent this is—not until this describes your experience of life. The blueprint is an in-depth one-year program. It begins with a full-day, in person consultation with Dr. Teagarden. The initial consultation includes a thorough review of your life and health, and lays the groundwork for implementing everything that’s contained in the blueprint over the coming year. Clients describe the initial consultation as empowering, highly informative, educational, enlightening, exciting, intensive, detailed and comprehensive. It’s not the ordinary way of going about things, but you’re not ordinary, either. The blueprint includes an incredible amount of education, information, coaching and support from Dr. Teagarden personally. It’s a very thorough program—think NASA preparing for an Apollo mission thorough. Not only does the blueprint go to great lengths to address your physical health, it goes to great lengths to address your emotional, mental and spiritual health as well. After the initial consultation, the blueprint includes frequent office visits—either in person, via FaceTime or by phone. There’s regular email communication with Dr. Teagarden as well. The blueprint includes everything needed to fundamentally change your life from top to bottom, and unfolds over a long enough period of time to allow you to integrate the changes you’ll make along the way. The blueprint is about addressing every factor necessary to once and for all get you from where you’re at to where you need to be. And to allow you to stay there, too. Things like diet, supplements and detoxification are essential components of the blueprint, and are covered in great detail. But there’s so much more to a complete overhaul of your life than just knowing which supplements to take. Optimizing thyroid function: extremely important! Who is the blueprint for? The blueprint isn’t a cattle call. Dr. Teagarden accepts only a small number of patients in order to provide the one on one attention it takes to support patients through the process of significant life change. The blueprint is a totally different way of going about healthcare. It’s inclusive, personal, and holistic in the true sense of the word. Deeply changing your life physically, mentally, emotionally and spiritually is a sacred process. It requires time and can’t be rushed. Dr. Teagarden’s unique and diverse background has allowed him to draw information and insights from a wide variety of sources in creating the blueprint. The blueprint relies on the latest scientific research, functional medicine, chiropractic, and his extensive knowledge of psychology, personality typing and spirituality. It’s not the typical assemblage of what you’d expect to find. It fits together beautifully and elegantly to create a thorough means of totally revamping your life.